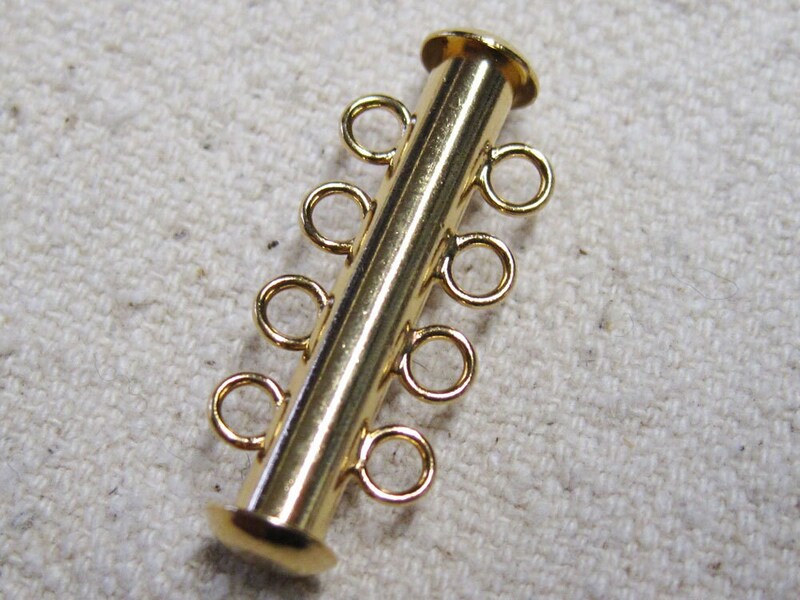 These gold plated 4-strand slide tube clasps are easy to open and close, and holds heavy or multiple strands securely and accommodate four strands. 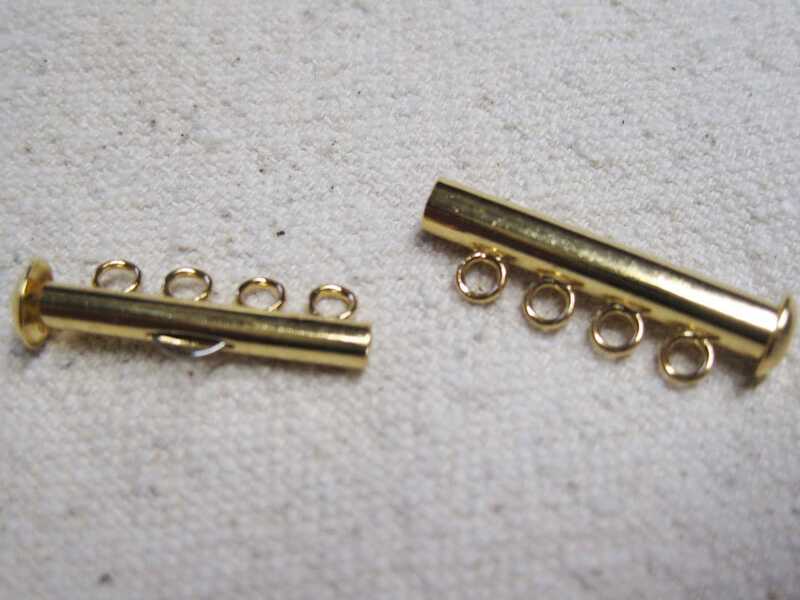 Clasp length is 26mm; the length of the clasp indicates the length that the clasp will add to your strand. They close with strong, self-latching inside lock. Use with bracelet and necklace designs. Only one clasp needed per jewelry piece. You will receive 4 gold plated clasps. fast shipping and great price! Thanks for your wonderful products! Perfect! Fast shipping too! Thank you!